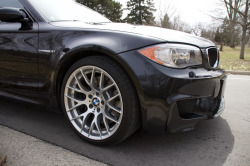 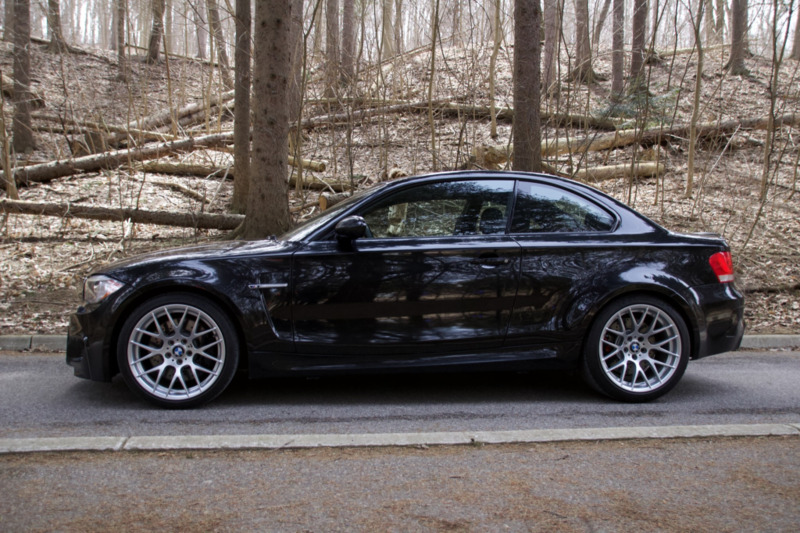 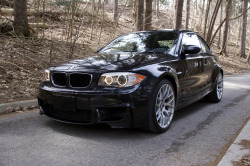 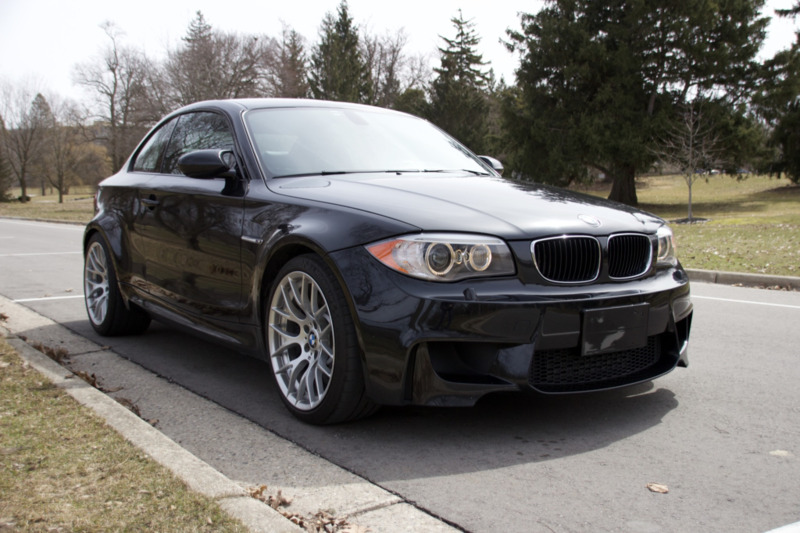 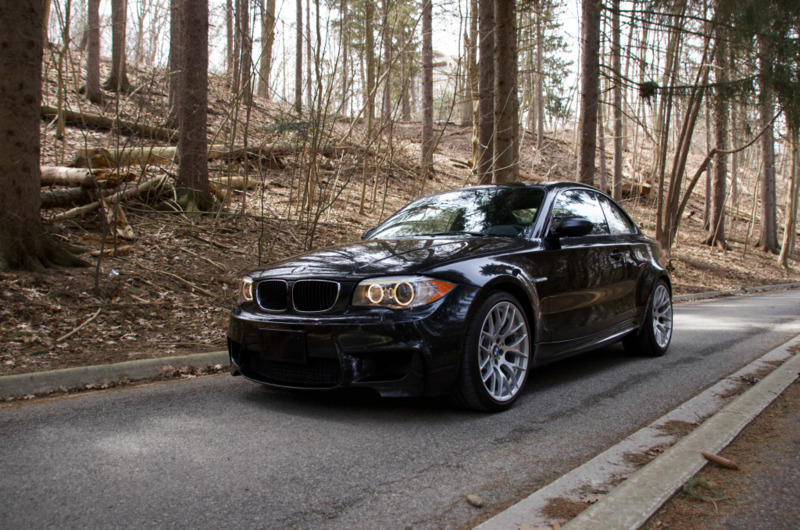 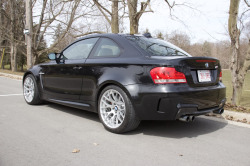 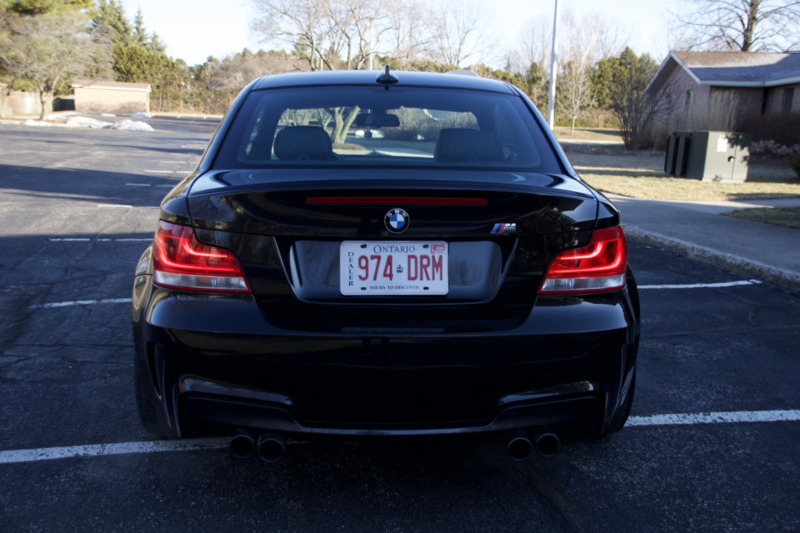 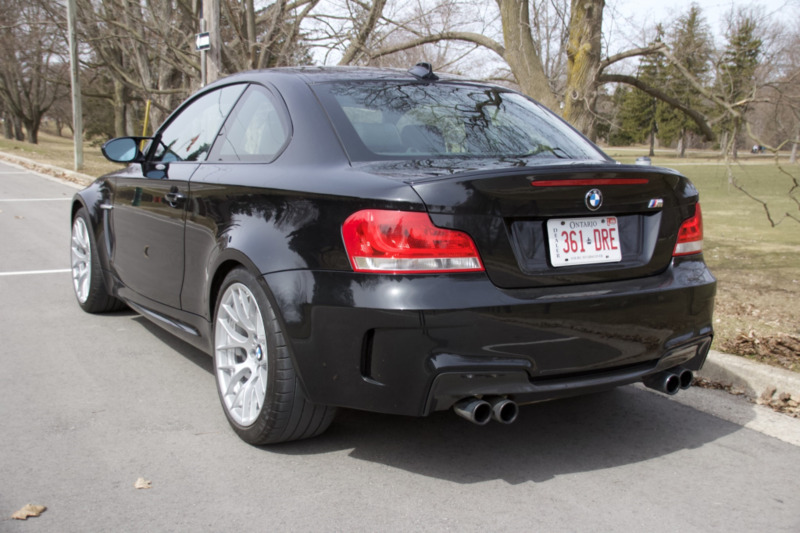 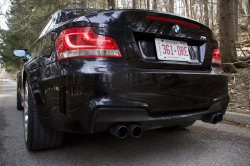 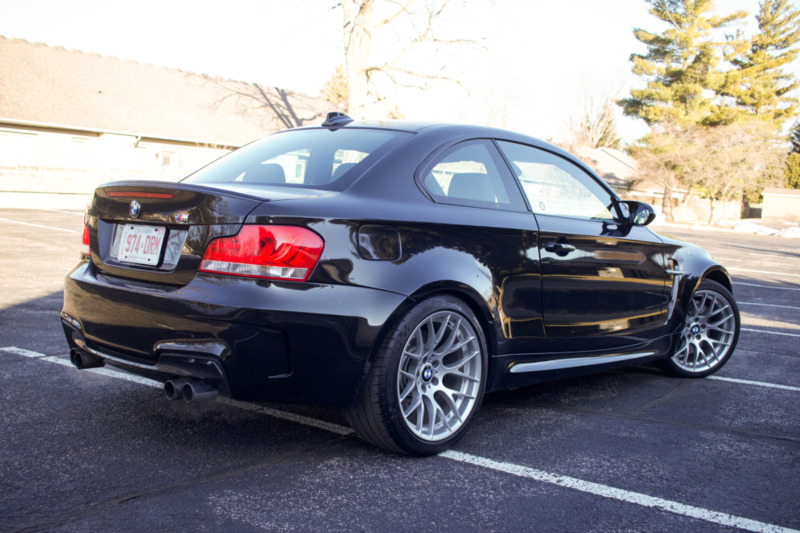 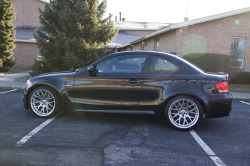 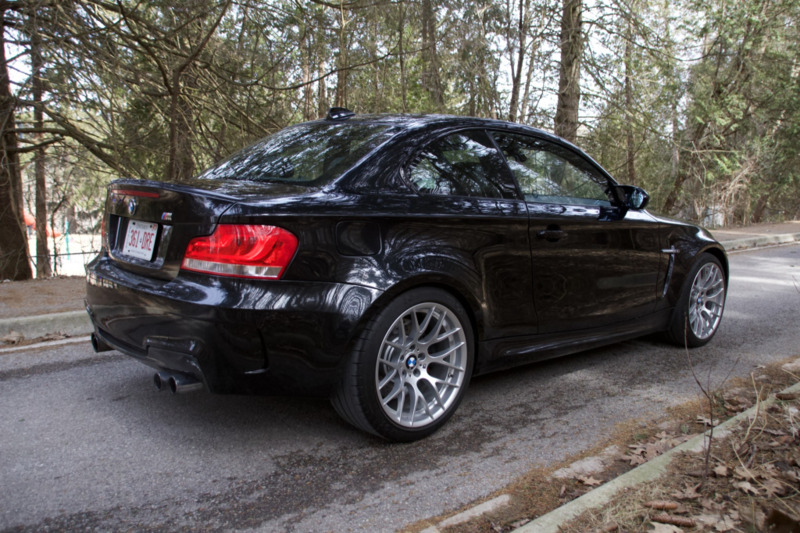 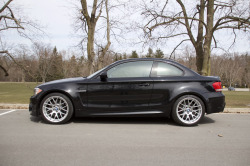 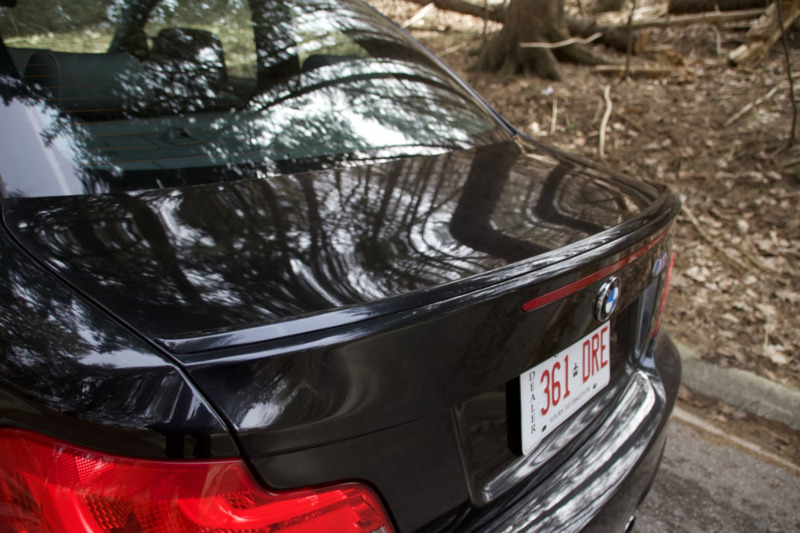 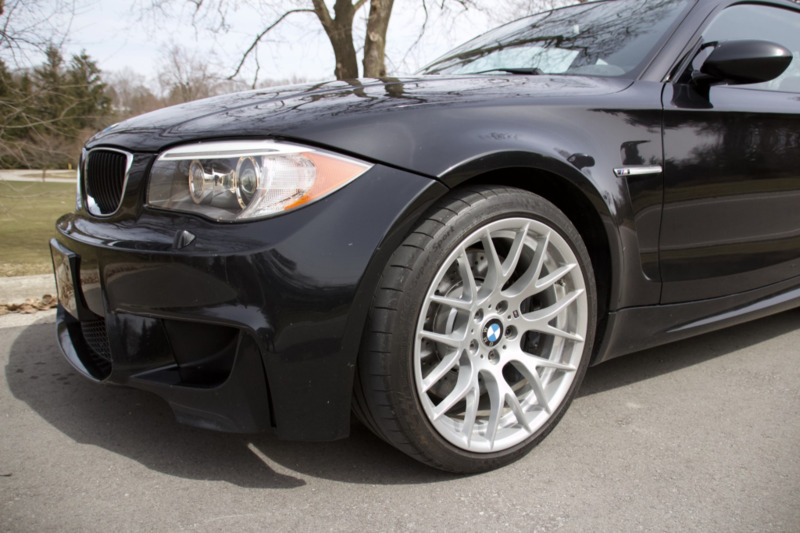 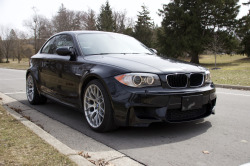 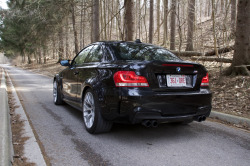 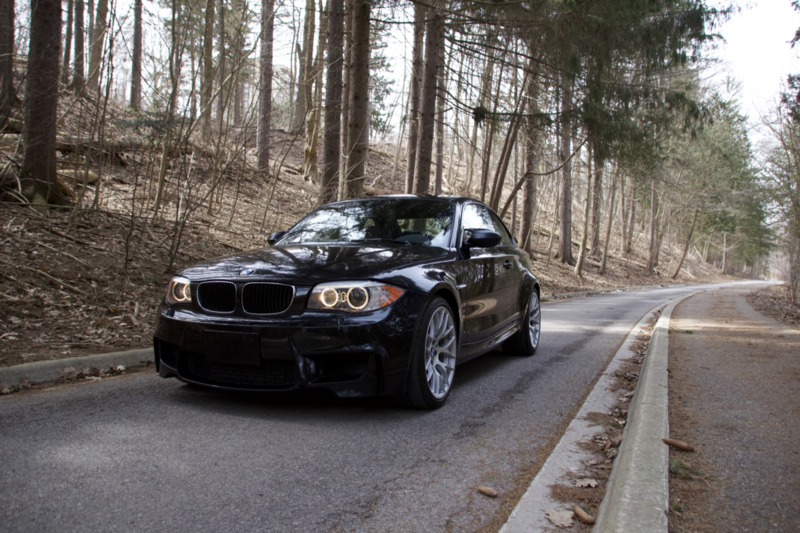 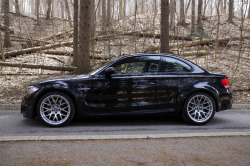 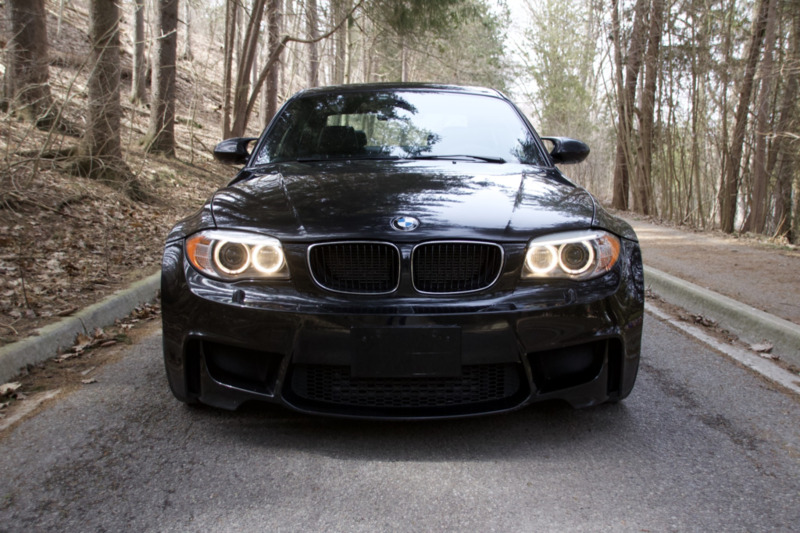 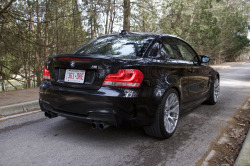 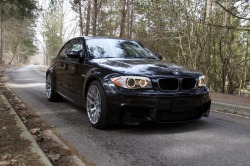 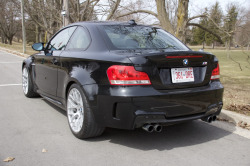 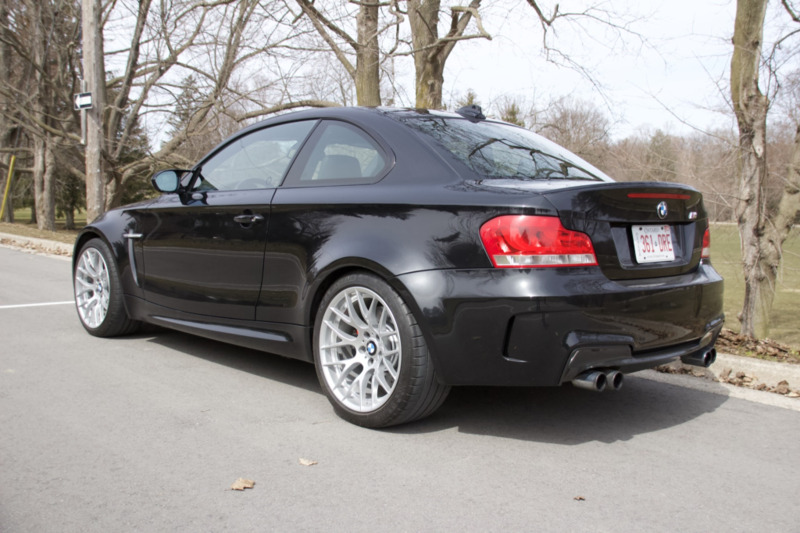 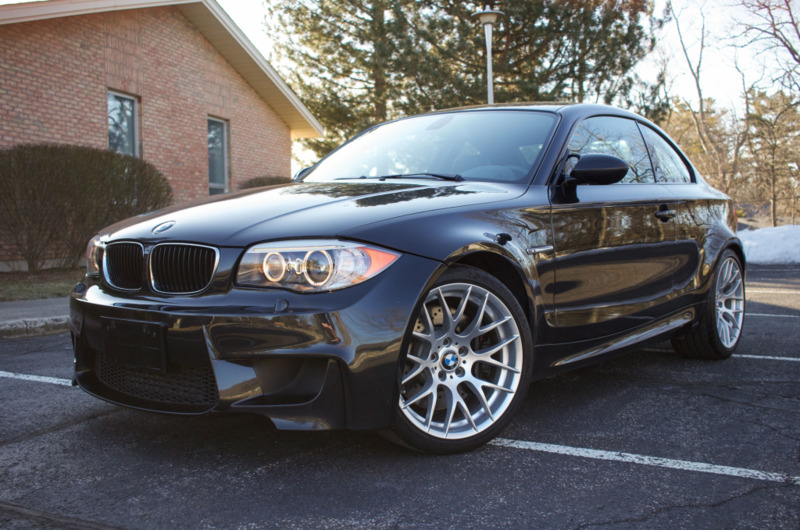 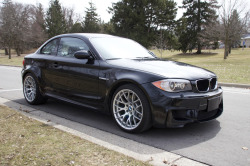 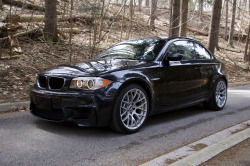 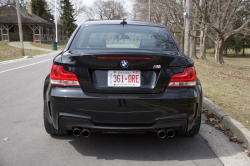 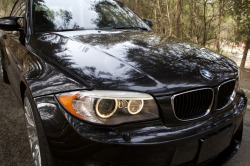 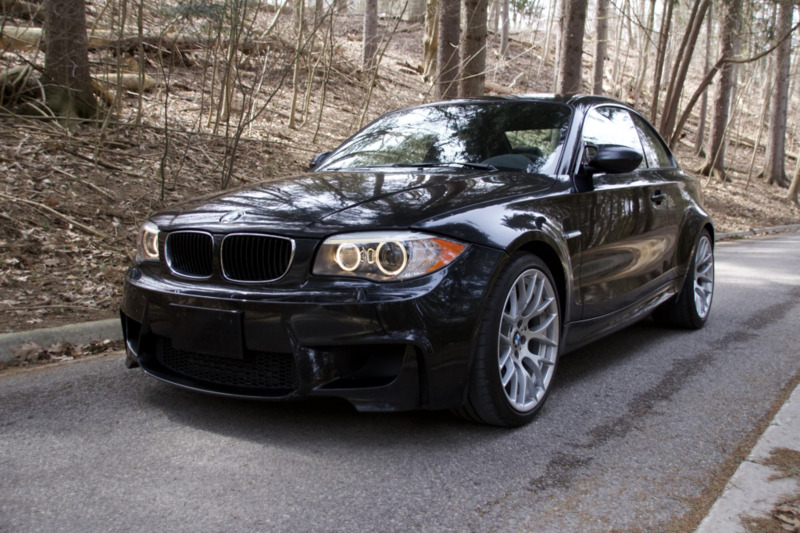 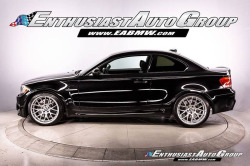 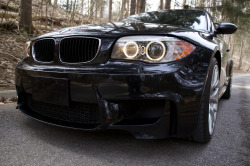 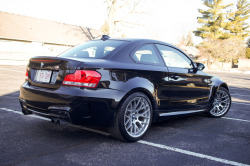 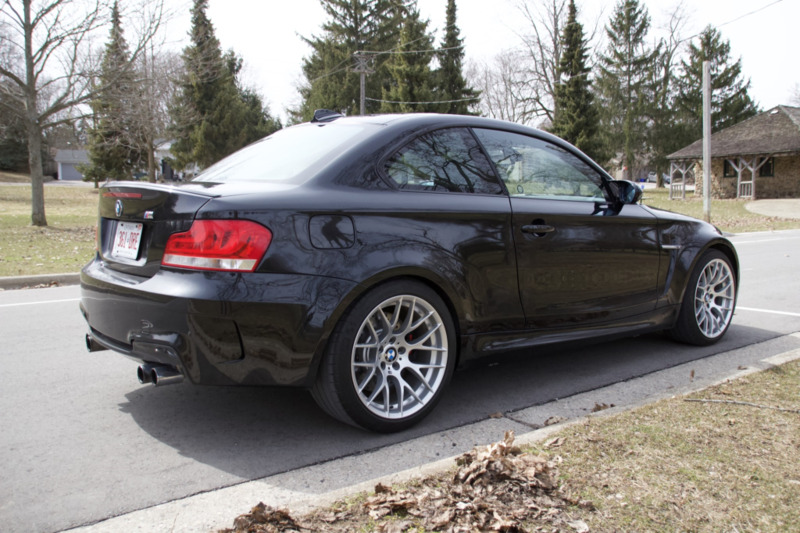 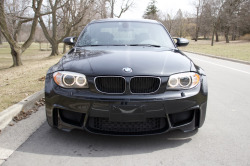 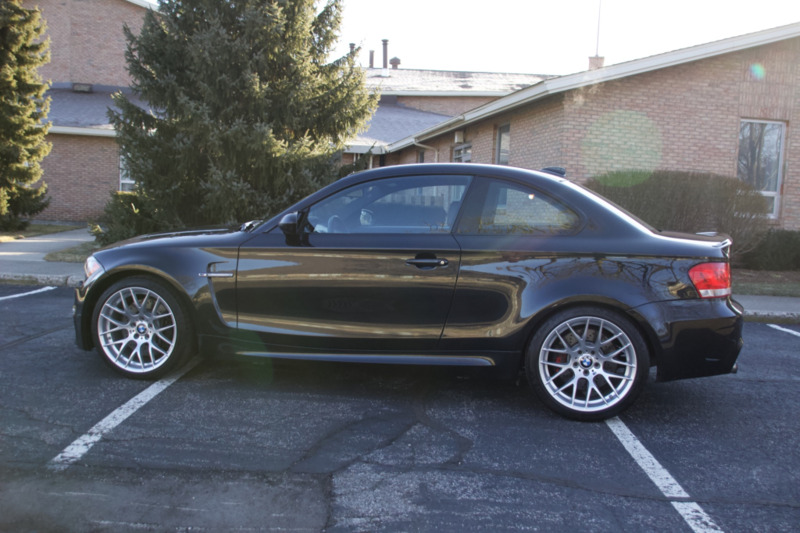 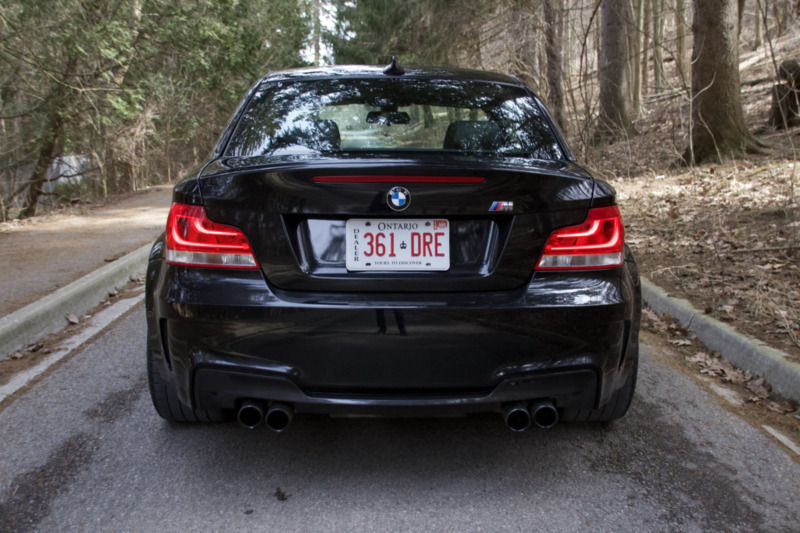 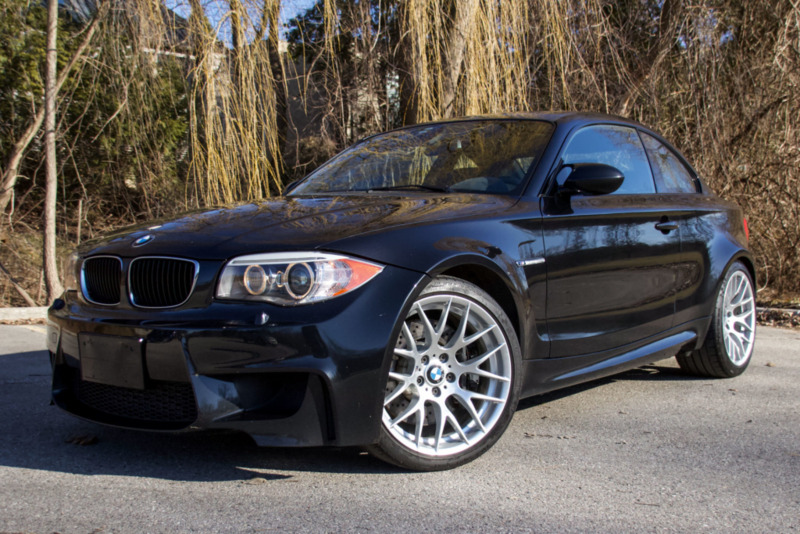 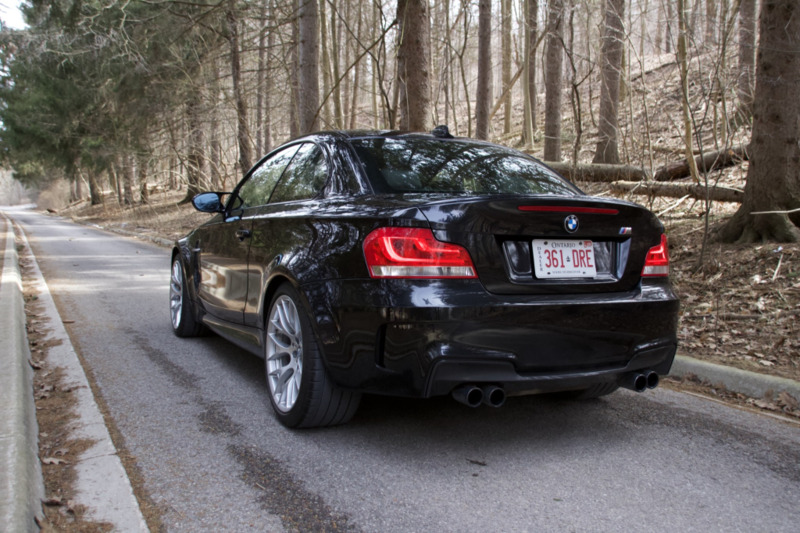 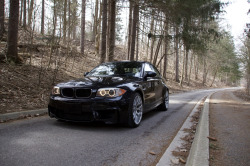 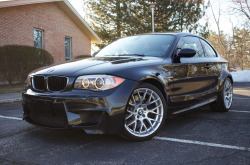 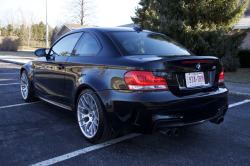 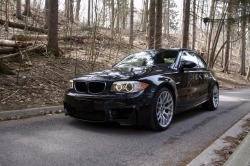 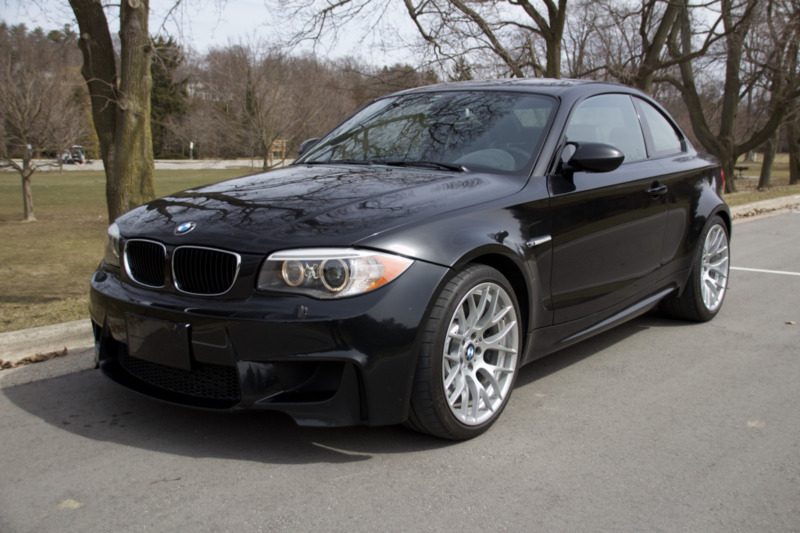 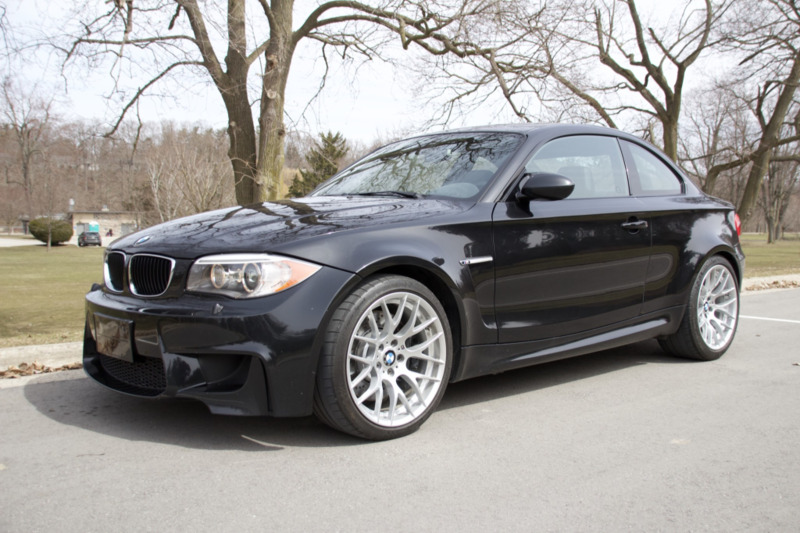 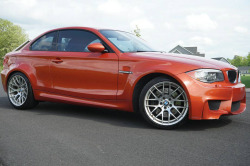 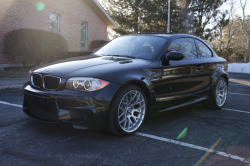 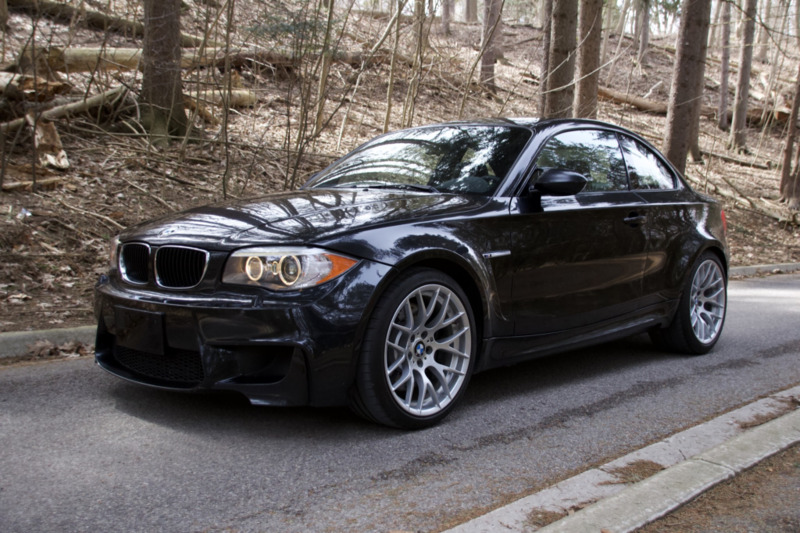 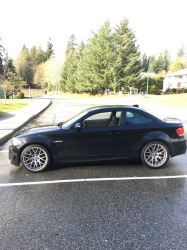 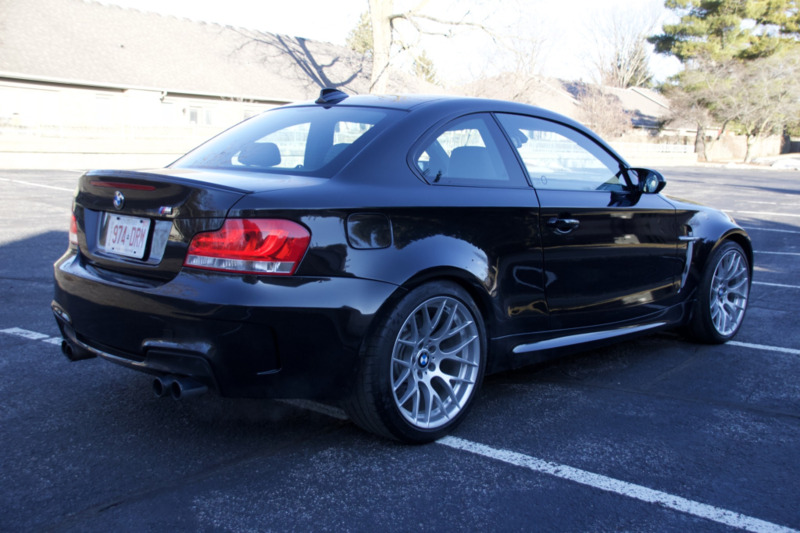 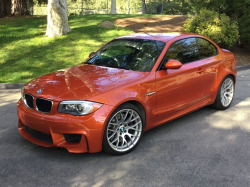 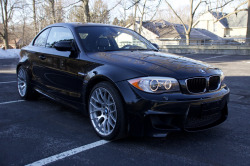 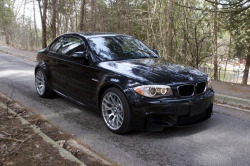 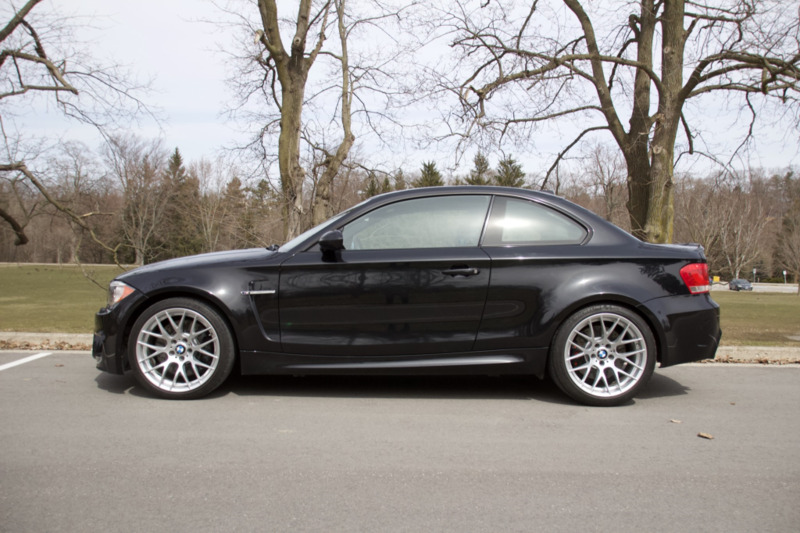 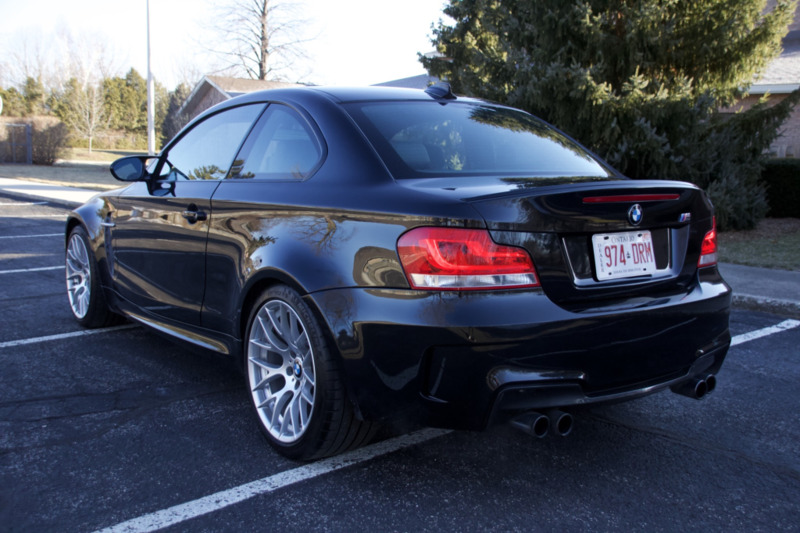 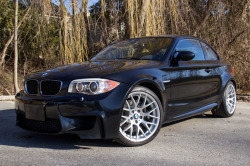 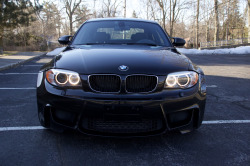 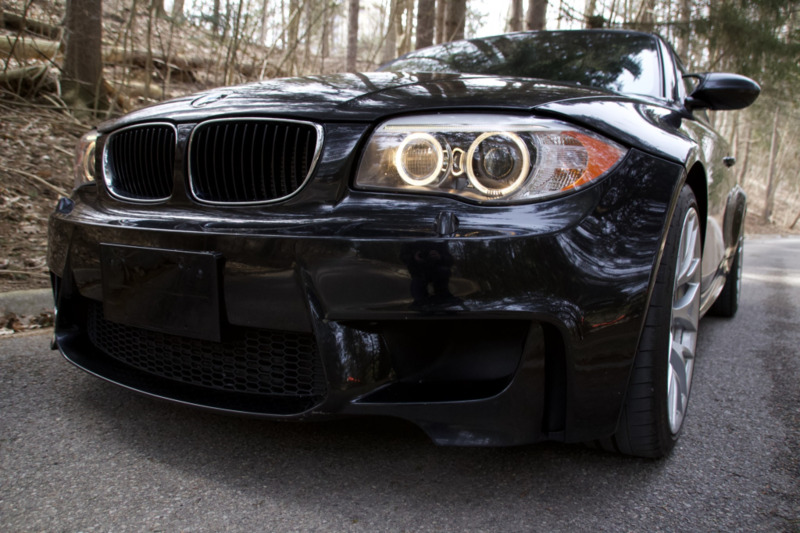 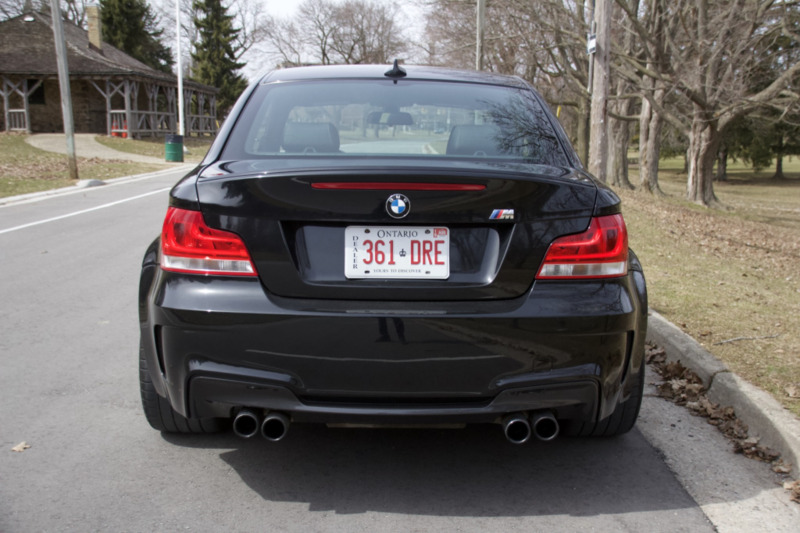 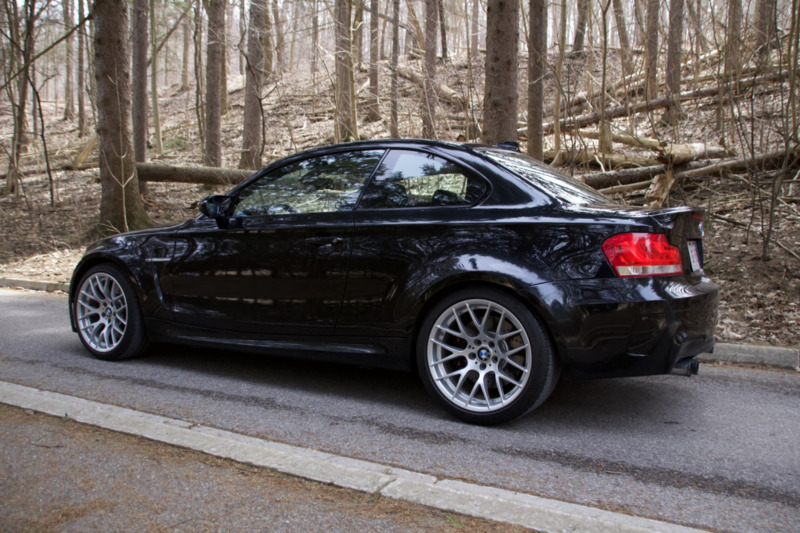 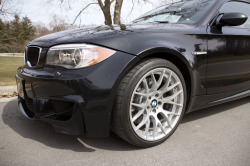 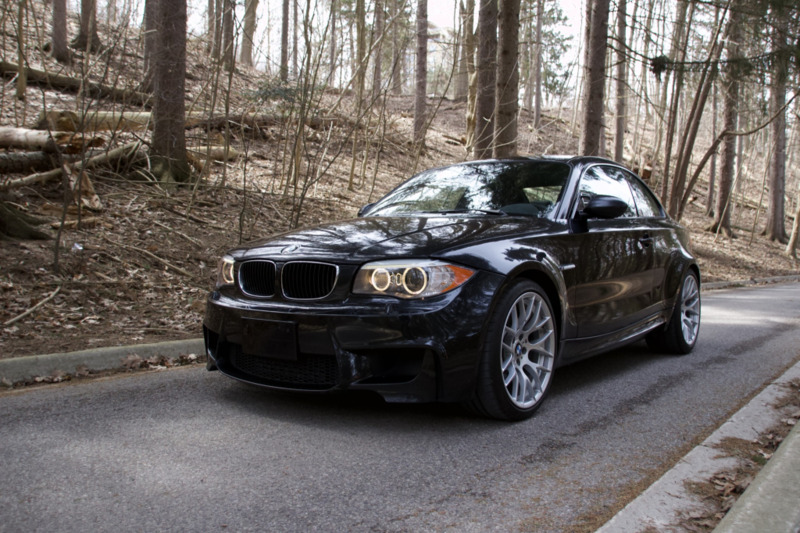 This 2011 BMW 1M is a Canadian-delivery example that shows 183k kilometers (~114k miles) and is powered by a twin-turbocharged 3.0-liter inline-six paired with a 6-speed manual transmission. 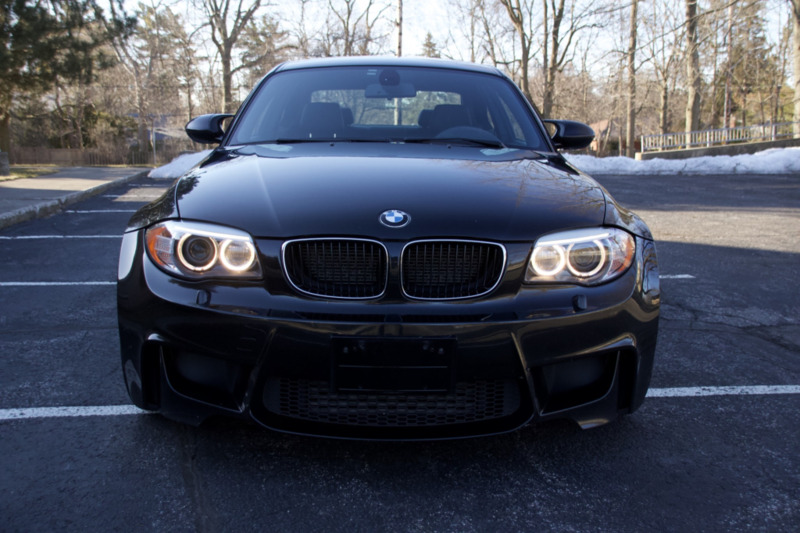 Finished in Black Sapphire Metallic over a black leather interior, the car is equipped with Alcantara trim, automatic climate control, and heated sport seats. This 1M was recently acquired by the selling dealer and is now offered in London, Ontario with service records, a Carfax report, and transferable Ontario registration. 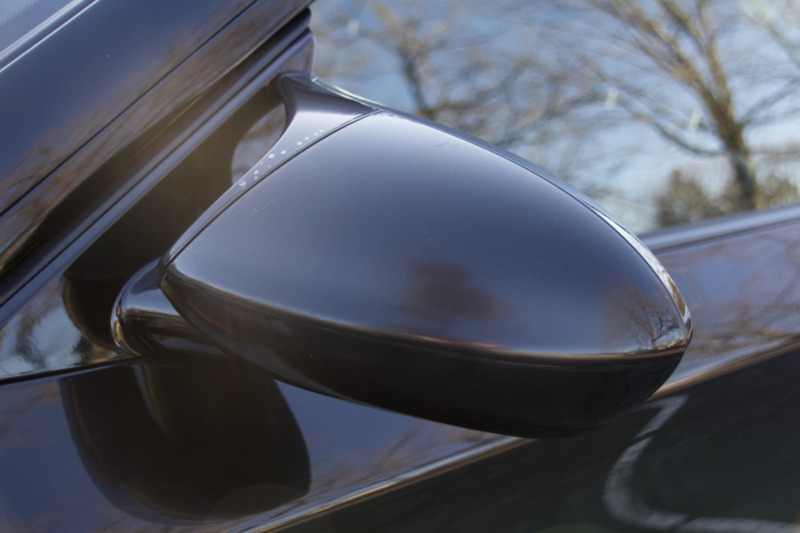 The exterior is finished in Black Sapphire Metallic (475) and is equipped with a clear protective film on the front end that is said to show wear. 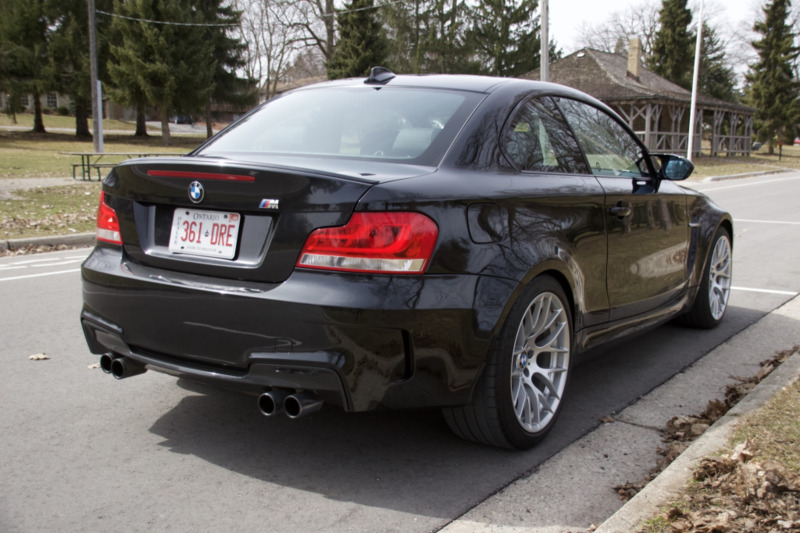 A collision in 2015 is noted on the accompanying Carfax report, and repair work performed by Budds’ BMW of Oakville, Ontario included refinishing the bumpers, driver-side fender, and driver-side quarter panel, along with new taillight lenses, fuel door, and more as detailed in invoices presented in the photo gallery below. 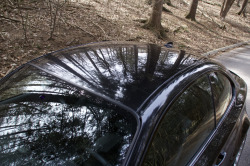 The windshield was replaced in 2017. 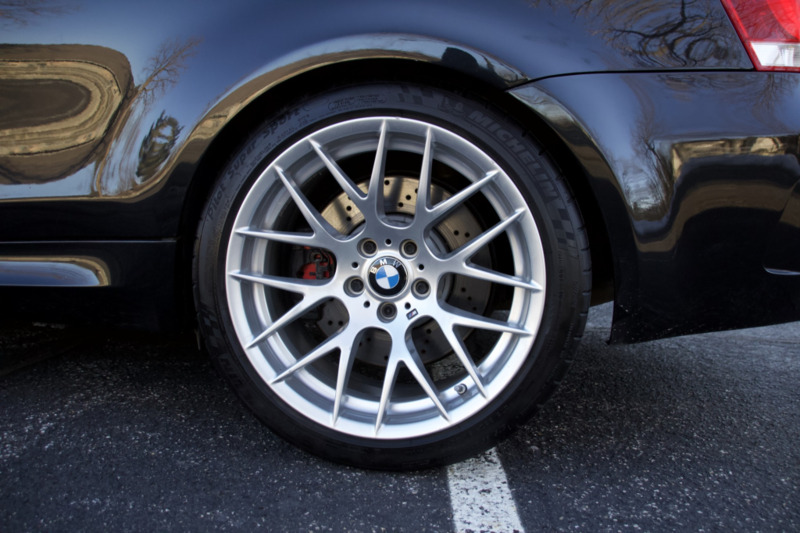 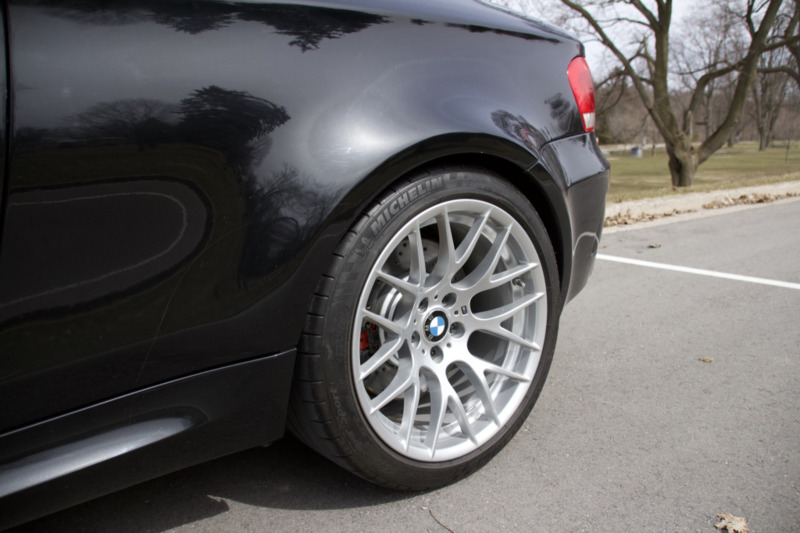 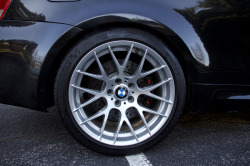 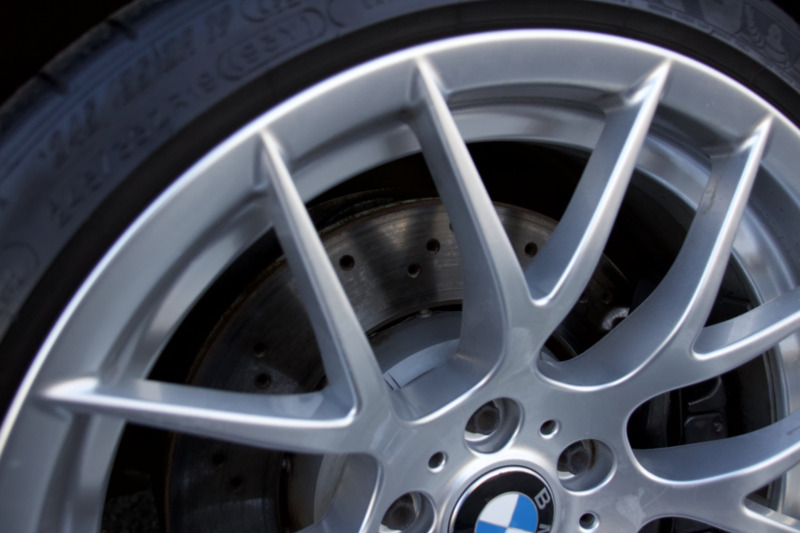 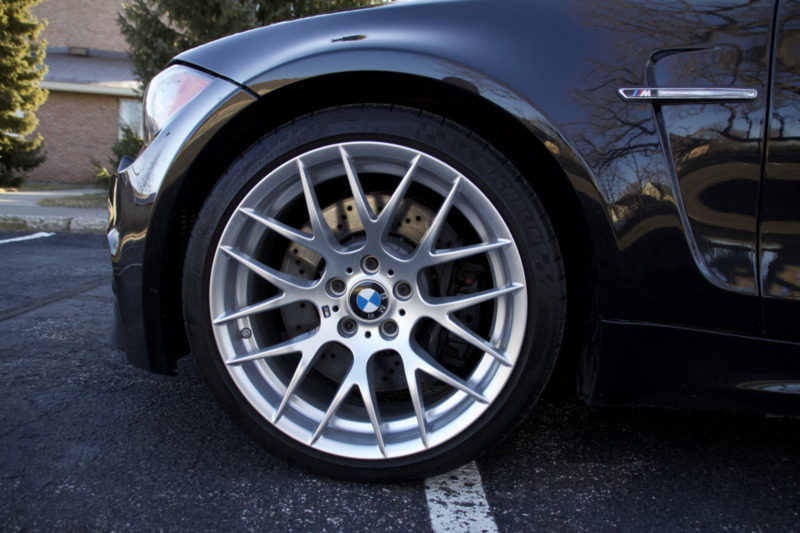 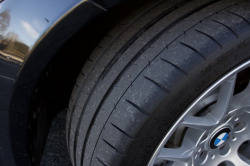 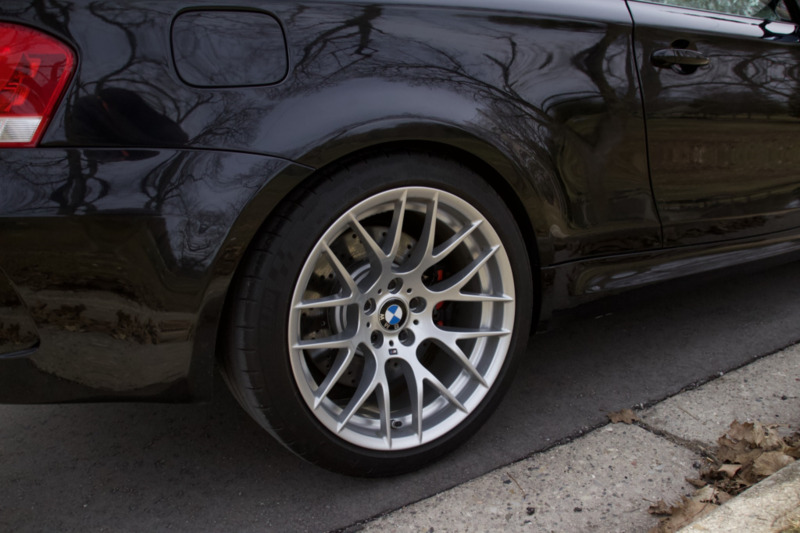 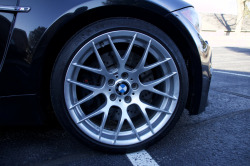 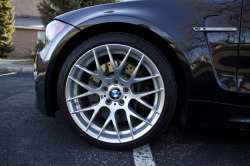 Y-spoke 19″ alloy wheels wear Michelin Pilot Super Sport tires. 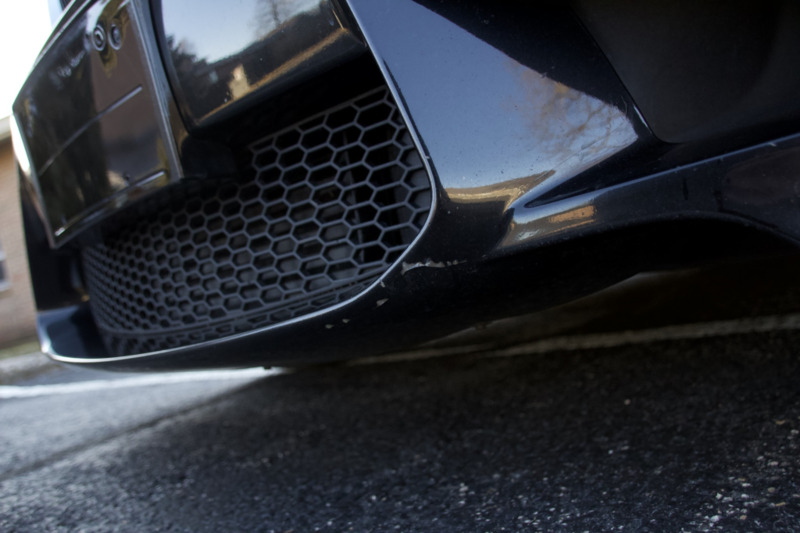 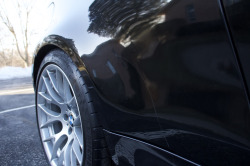 The driver-side wheels were replaced after the 2015 collision along with the rear shocks and lower control arms as well as the left rear brake hose and wheel hub. Heated sport seats are equipped up front and are trimmed in black leather with orange stitching. Black Alcantara is present on the dashboard and door panels, and rubber floor mats have been added in the footwells. 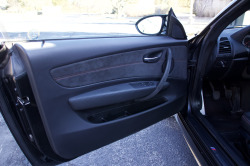 New driver-side airbags and seatbelts were installed in 2015. 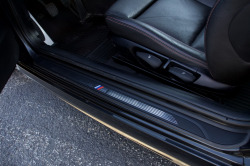 Equipment includes a multi-function steering wheel, dual-zone automatic climate control, and a CD player with auxiliary input. 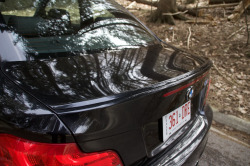 The digital odometer shows 183k kilometers (~114k miles), approximately 100 of which were added by the selling dealer. 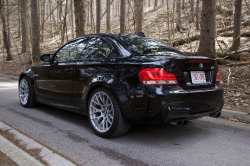 The twin-turbocharged N54 3.0L inline-six is paired with a 6-speed manual transmission and was rated at 335 horsepower at 5,800 rpm and 370 lb-ft of torque at 1,500 rpm when new. 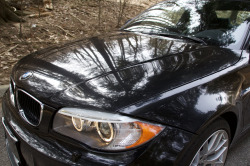 Damage to underbody panels is noted in an included PPI report from the selling dealer. 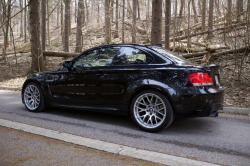 Factory literature is included in the sale along with two keys, a BMW service history report, a copy of the recent PPI, and service records detailing repairs performed after the 2015 collision. 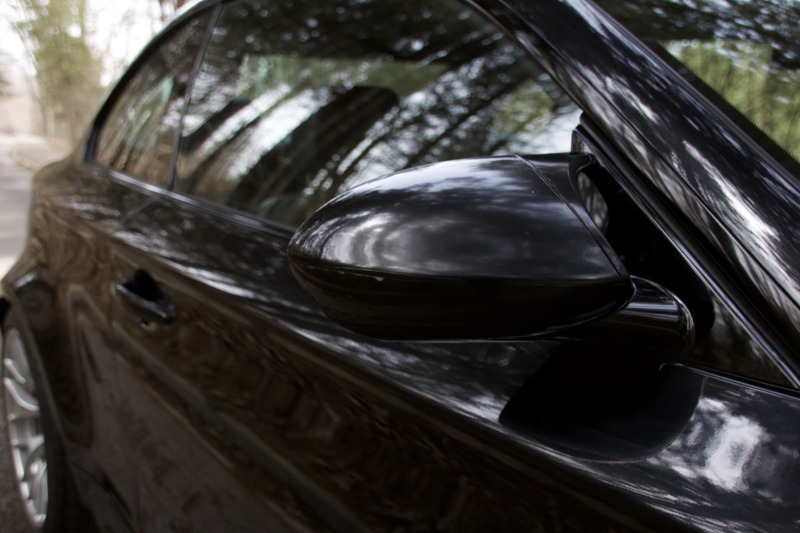 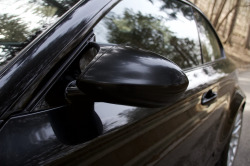 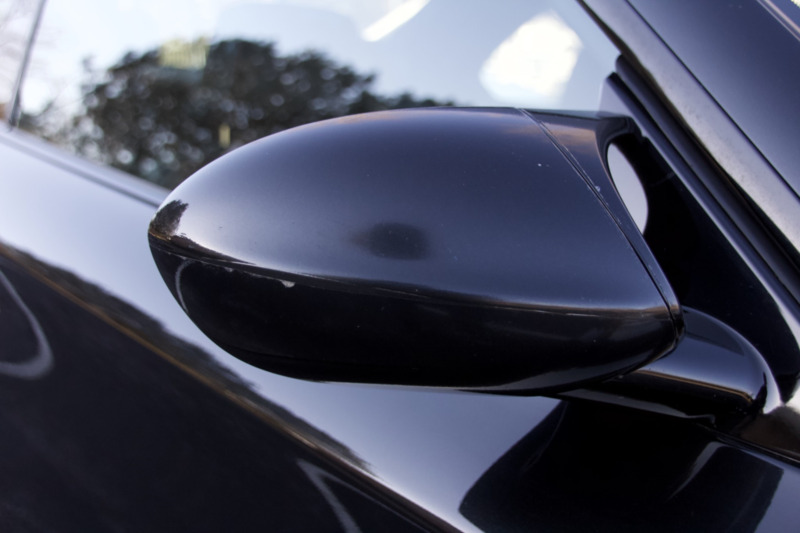 The Carfax report lists the June 2015 collision and Ontario registration since new.